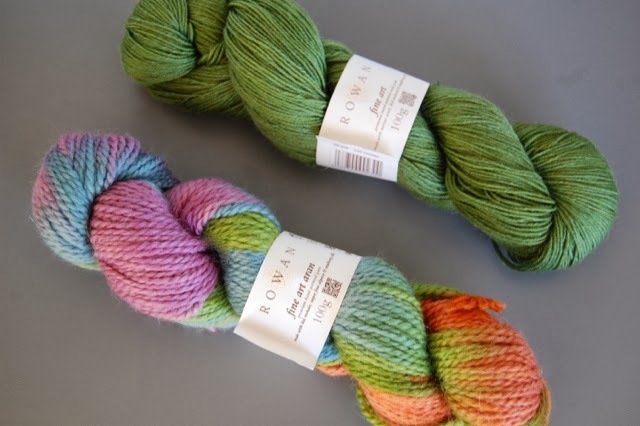 Winter knits! No surprise, but I have way too many things on my needles this winter. I just can't help myself. I've been beyond busy knitting chunky accessories for local holiday craft fairs, so I've been yearning for some free time to knit for myself. Yes, me. My stuff. 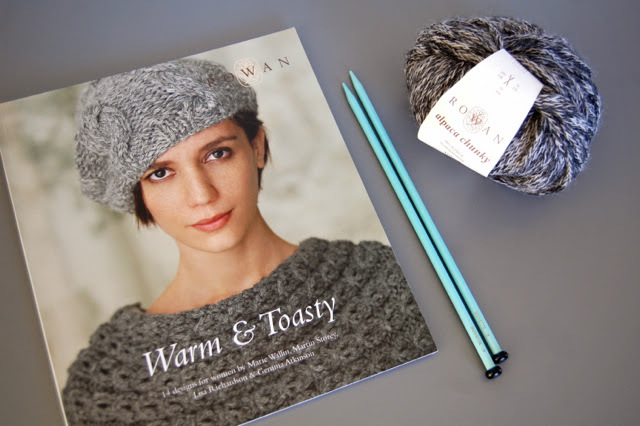 Above are some Rowan pattern books that I can't keep my hands off of. Left to right, these are my very favorites. Warm and Toasty, a collection of women’s accessory designs from simple shrugs and capelets to snoods and hats. Pioneer, a collection of hand knits for both men and women inspired by the Midwest and hand crafted lifestyle. The collection features rustic cables, intarsia star jackets and also simple to knit minimal designs in a palette of dark neutrals. (I love this Pioneer.) The Amore Collection, which includes shawls, wraps, hats, wrist warmers and a relaxed short sleeve sweater, all designed by Lisa Richardson. 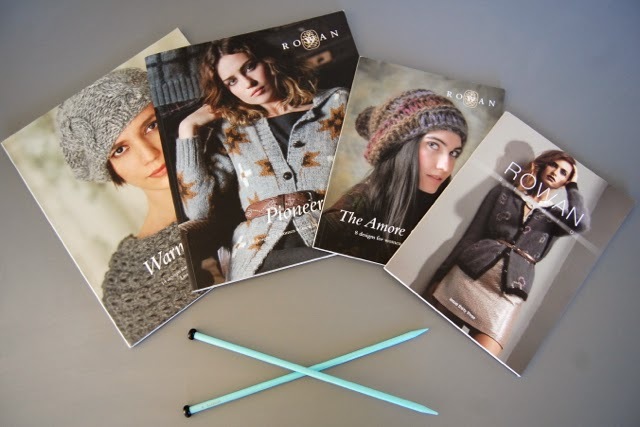 And Rowan Studio 33, The Last Hurrah, which is the final collection for Rowan's Studio publications. 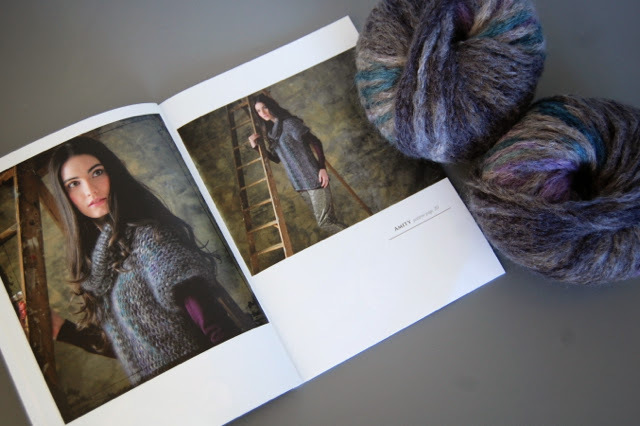 Using Kidsilk Haze, Anchor Artiste Metallic, Kidsilk Haze Eclipse, Angora Haze and Kidsilk Haze Glamour the designers have ensured the final collection is a fitting last hurrah and covers all knitting skill levels from beginner to the more experienced. 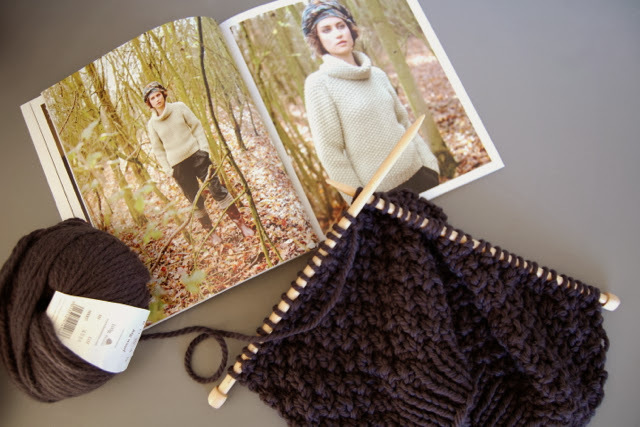 I've started knitting the 'Hyslop Hat' from Warm and Toasty using Alpaca Chunky. And I also have a decent start on the 'Ranch' sweater from Pioneer using Big Wool. I'd love to give 'Amity' a go, from The Amore Collection by Lisa Richardson.